This is done to find the Forum Posts made by a specific student. 2. Click Advanced Search in the Search Forums Block. If you DO NOT see the Search Forums block, you may need to TURN THIS BLOCK ON. 3. Enter the Name of the student in the field marked "This name should match the author". 5. 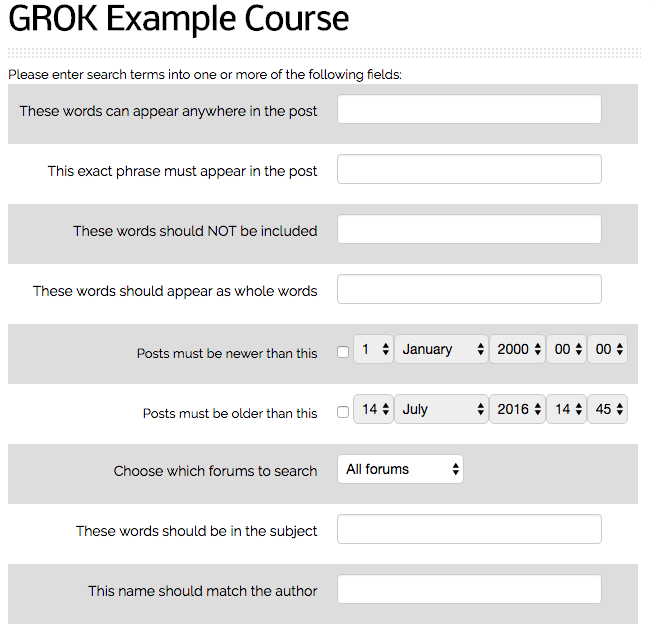 The Search Results will display All Forum Posts made by that particular Student. NOTE: You will need to do these steps if you do not see the Search Forums block on your Moodle page. 2. 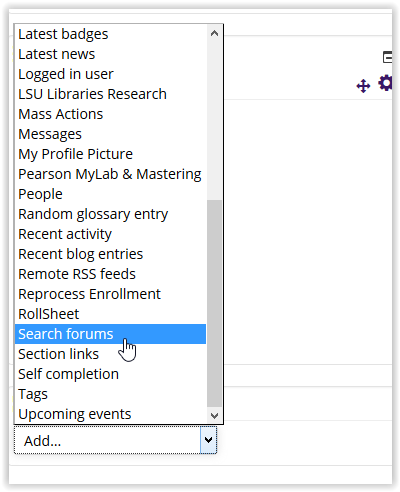 Select Search Forums in the Add a Block drop-down box.